Did you pay attention to Jesus’ question in this story?. How would you respond to him? Think about it. If you captured Jesus’ attention and, point-blank, he asks you, “what do you want me to do for you?” How do you respond? My own answer to that question sends panic through my heart. Why? Because, my answer reveals the condition of my heart. There are a thousand things that I want from him. I want a new car, a new house and another sale. I want my company to grow faster and have more influence. I want him to heal my friend with cancer and to provide more money for the needy. All of those things are what I want. Do those Lord. Should we be surprised that God doesn’t jump in and honor all of my requests? We shouldn’t. James 4:3 reminds us that, “You ask and do not receive, because you ask wrongly, to spend it on your passions.” Yes, that answer stings a bit. There is, however, a better way. Consider the response of young King Solomon. Similar to the blind man, the Lord appeared to Solomon. He asked him, “What do you want? Ask, and I will give it to you!” (1 Kings 3:5). Solomon replied, “Give your servant an understanding mind to govern your people, that I may discern between good and evil, for who is able to govern this your great people?” (1 Kings 3:9). Solomon’s response pleased the Lord. So did the blind man’s. He answered, “Lord, I want to see!” (Luke 18:45). Jesus immediately responded to this request. Why? Because like Solomon, his request required faith in God for the sake of God. 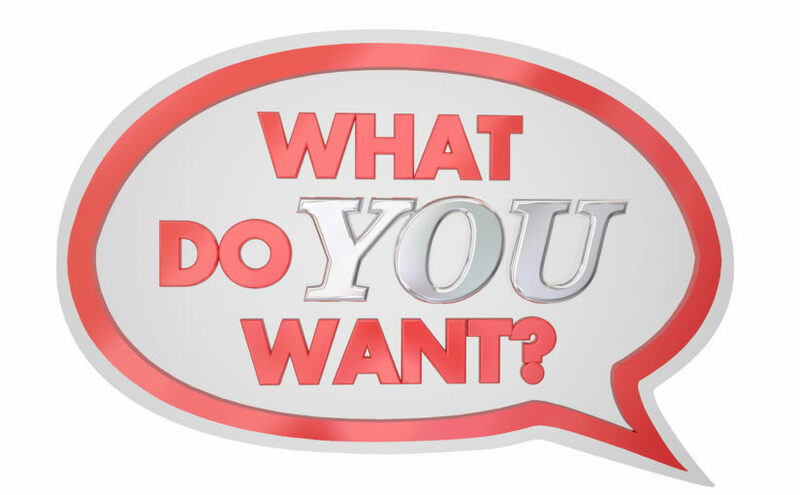 Do you know what you want? Do you know that the Holy Spirit is here, waiting for you to ask? What do you want him to do for you?